Today’s gift idea is an interchangeable kit. This is the perfect gift for a new knitter (they haven’t amassed a great quantity of needles yet) or a long time knitter (because who doesn’t need an upgrade once in a while?). We have a few sets of interchangeables in a range of prices. The most important question is probably which material you like the best, we have acrylic, wood, bamboo, and the nickel plated addis. For more information on all our needles you can check out Michael’s thorough post here. 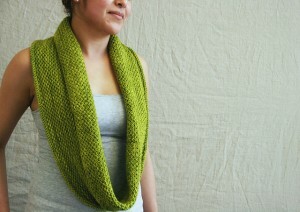 Free pattern of the day is the ever popular Honey Cowl. 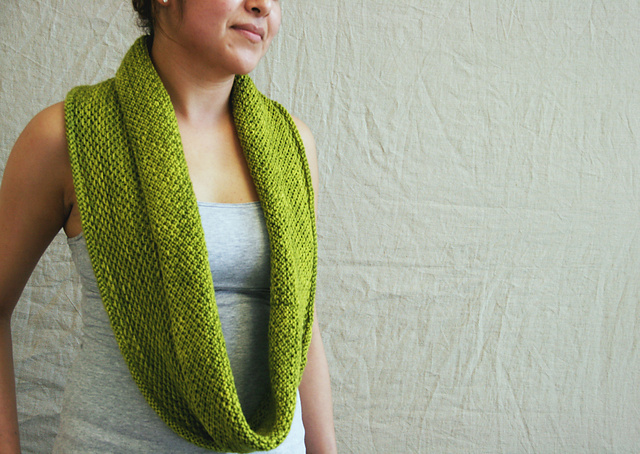 This design is a great way to show off a beautiful yarn. There are MANY options at the shop and the knit is quick and simple. Enjoy! This entry was posted on Wednesday, December 5th, 2012 at 11:12 am	and is filed under Uncategorized. You can follow any responses to this entry through the RSS 2.0 feed. Both comments and pings are currently closed.